ST. GEORGE – An early morning traffic stop netted the Washington County Drug Task Force a trio of arrests Wednesday. Charges filed against the three arrestees range from drug possession to intent to distribute drugs. A vehicle was pulled over around 2 a.m. Wednesday after a detective with the Washington County Drug Task Force noticed an expired registration and improper lane travel, according to probable cause statements supporting the arrests. Inside the vehicle were Austin Caley, 21, of LaVerkin; James Cruz, 35, of Las Vegas, Nevada; and Sarah Hewitt, 31, of St. George. 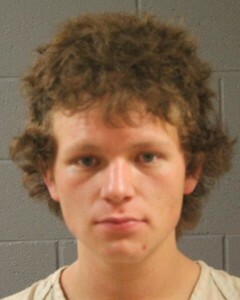 Caley, who was driving, was observed by another task force detective to be possibly under the influence of narcotics. 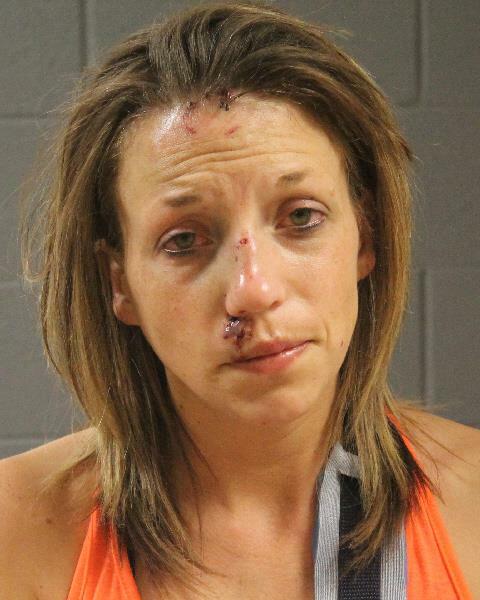 A field sobriety test was conducted, which Caley failed, according to the statement. 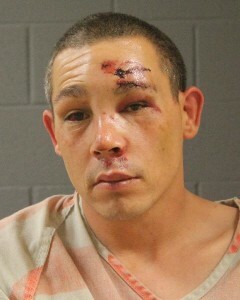 He was also found to have suspected drugs and drug paraphernalia on him. Caley was arrested and booked into the Washington County Purgatory Correctional Facility for third-degree felony possession of a controlled substance; two class B misdemeanors – one for possession of paraphernalia and one for driving under the influence; and two infractions for failure to stay in one lane and expired vehicle registration. According to bookings information posted Thursday, three more charges have been added for Caley: a third-degree felony for endangerment of a child or elder with drugs and two class B misdemeanors for possession of drugs and paraphernalia. Additional documentation was not available at the time of this publication to confirm whether the new charges are connected to Wednesday’s arrest. At the time of the traffic stop, Hewitt was seen sitting in the rear of the car, where she was allegedly stuffing items into her purse and underneath her body. Detectives told her to keep her hands visible, but she allegedly continued to stuff the items away, according to a probable cause statement. Within the baggy was a substance identified as possible heroin. A K-9 search of the car yielded an additional amount of suspected heroin. Hewitt was taken into custody and taken to Dixie Regional Medical Center for medical clearance due to having been involved in a vehicle accident prior to her arrest. Once she was at the county jail, a search of Hewitt’s person produced 14 small, green baggies located in her pants. “From my training and experience, the 14 baggies are a distributable amount and consistent with the way illegal drugs are normally packaged for sale,” the detective wrote in the statement. A visual body cavity search was conducted by a female Washington County Sheriff’s deputy that yielded no additional heroin. Hewitt was booked into jail and charged with second-degree felony drug possession with intent to distribute, third-degree felony obstruction of justice and a class B misdemeanor for drug paraphernalia. Cruz was found to have a $500 warrant out for his arrest and was taken into custody. No drugs were found on him at the time of his arrest, though a green baggy containing suspected heroin was found in his underwear once he was searched again at the county jail. In addition to his warrant, Cruz was charged with second-degree felony drug possession and a class A misdemeanor for drug paraphernalia.